No matter how “good” of a street or suburb we live in, break-ins and theft still happen. By making sure you properly secure your home and cars, the less risk there is of you being affected. 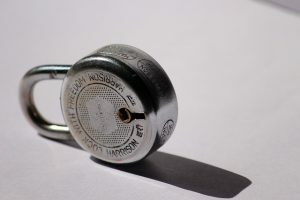 Here at Out and About Locksmiths Canberra, we are all about security! Today we decided to give you some tips and tricks on securing your property and protecting your family. Always, always ALWAYS lock your doors. It’s amazing how lacksadaisical we can get when it comes to locking our doors. Especially when you think you’ll “only be gone for less than an hour”. It won’t take that long for an opportunistic thief to see you leave, jump in and take your wallet, keys, small electronics. Don’t risk it! Make sure the locks fitted on your doors are strong, and working properly. Front doors should have a deadlock and screen doors should have working locks with the mesh intact. Get security screens fitted to your windows , if not locks. Not only do they help secure your property, they also act as a bit of protection for your window glass. Don’t forget to secure your sheds and garages as well! No doubt there will be property stored in them that is a target for thieves. Introduce yourself to your neighbours. Getting to know each other is an important part of neighbourhood safety, and identifying who lives in the area and what could be considered suspicious activity always helps. Get an alarm installed, or alternatively a guard dog. Either will alert you or your neighbours to anything out of the ordinary on your property. Never leave your keys out in the open where someone could take them. Have a few sets handy in safe places in case one set gets lost, and change the locks as soon as possible. This applies to homes and cars. We hope these few tips have provided some information on how you can keep all your valuable things in your possession. By doing this, you also keep your family safe from the trauma of intruders entering your house while you’re there. The Winter Olympics Are On! What Are Keys Made Of?